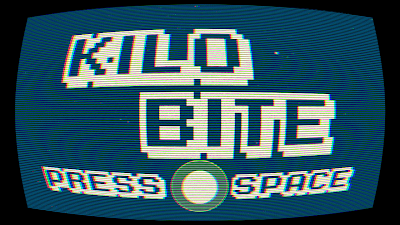 I picked up my copy of KiloBite over at the itch.io indie marketplace - a relatively new resource for independently produced games that encourages a pay-what-you want model. Although the Cake Collective have a page there to host their games (for now, only KiloBite and a super-cute FlappyJam entry called FlippyStar), there was very little information on who in fact Cake Collective actually are. A few investigative tweets later, Middlesex University lecturer Kevin Colegate and I began an email exchange during which he explained the origins of the game. The ethos behind the collective - currently consisting of post-graduates Kevin (visuals/design) and Piers Gillingham (programming) - is to to bring together a group of people with similar interests working on games, resulting in a shared pool of resources and knowledge that the members can all dip into. 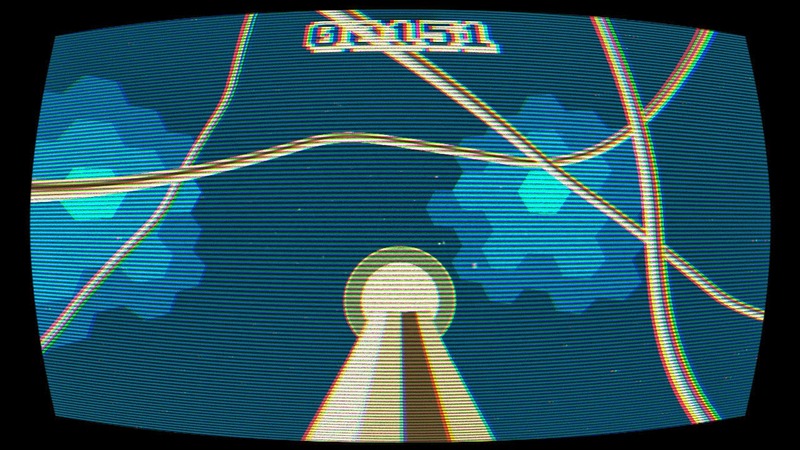 As for KiloBite, it seems that the game evolved from an experimental game jamming session. "I was planning on organising a Game Jam at the University for our students, so we started making KiloBite to see how much we could get done in 24 hours", Kevin explained. "Coming up with the idea was just a spur of the moment type thing, we wanted to get going fast and so we settled on imagining an old game in the modern time. We quickly settled on snake and for the next twelve hours just plugged away at it. We were quite fond of what we created and seeing as how we hadn't used our entire 24h time limit we thought we'd work on it some more." "I was in charge of the visuals and Piers was in charge of the programming; visually the game was pretty lame looking, and honestly I probably would have left it there if Piers hadn't kept moaning about how boring the walls were. So I came up with a new wall system which I was pretty happy with; it dynamically spawned in these hex tiles and changed the colour depending on where the character was. This was actually really important as we didn't want to use real time lights which was causing us problems as the player couldn't tell how far they were from a wall accurately." This dynamic wall system really works well (as illustrated in the animated WIP images below) and cleverly hides the fact that the gameplay is taking place within a 'boring old cube', instead creating the illusion of an undefined, organically shifting space. 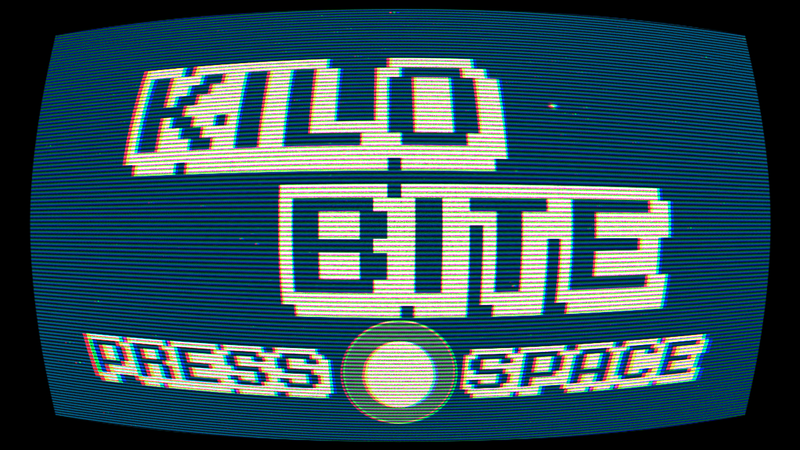 The aforementioned CRT, RGB splitting and noise effects and short, looping chiptune (all of which can be turned off or on via an ingame menu) further add to the atmosphere, the end product being a game that feels instantly familiar, yet also unique and fresh. Although you can play the game via keyboard, it's clear that KiloBite was designed primarily for analogue controls. Using an XBox 360 pad the left stick controls your rotation on the X and Y axis, the right stick is dedicated to yaw and the bumper buttons activate a 90 degree 'quick turn' left or right (at the cost of 5 points each use). 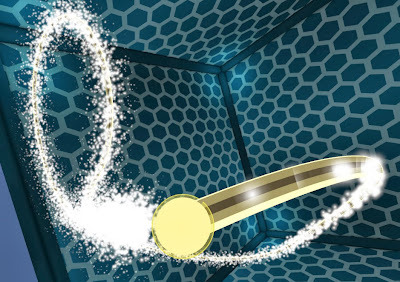 This simple mechanic balances the game and makes for a tense experience when going for a high-score, as often a quick turn would get you out of a tight spot in the claustrophobic arena, but the temptation is to try and avoid using them as much as possible. It's clear that KiloBite was only ever designed to be played in short bursts, and in that respect the game is a real success. Perfectly executed and presented despite being developed in less than 24 hours, it's also a promising indication of what the Cake Collective are capable of, leaving me feeling hyped for their next release. Download the game for free (or give your own price) here (from the itch.io page).